The new version brings several new features including recalling sent messages, file sharing up to 1GB, sharing real-time location and lots more. Samsung has updated its messaging app ChatOn to version 3.5. The update includes a slew of new and improved features including recalling sent messages and large file sharing up to whopping 1GB. The new updated ChatOn allows users to recall messages they had sent to a friend in 1:1 chatrooms, even if the reciever has already read them. 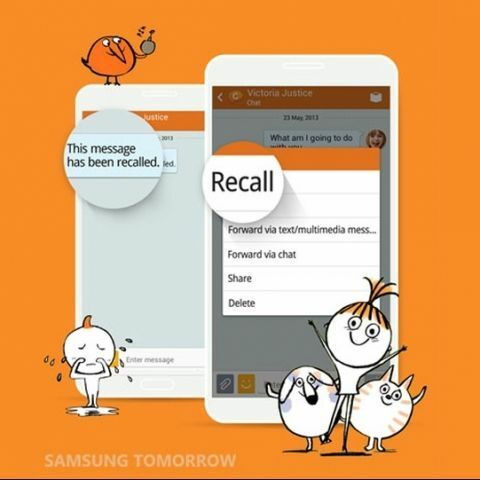 To recall a message, users need to simply tap and hold the message bubble and choose 'Recall' to make the message disappear. One of the important features that comes with the new update is the ability to share real-time location with their contacts on ChatOn. Samsung has integrated the Glympse application for this purpose. The company recently showcased the feature at the recently held Mobile World Congress event. 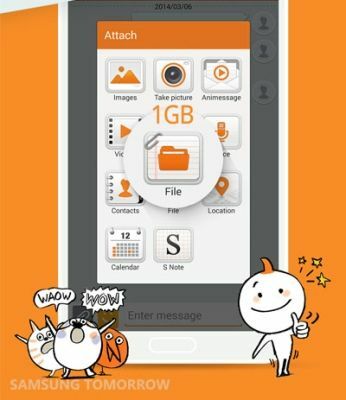 While BBM's new update allows file sharing size up to 16MB, the ChatOn v3.5 supports large file sharing up to 1GB. Moreover, upper limit for individuals in group chat has been increased to 1001 persons from 200. 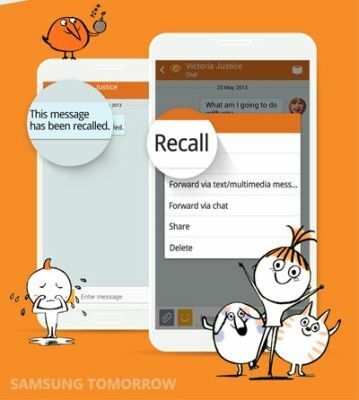 The updated messaging app also makes it easier for users to manage ChatOn and SMS/MMS messages from the same sender. Version 3.5 also brings new translation features with addition of languages such as Arabic, Turkish, Farsi and Hindi – total number of languages supported by ChatOn now is 14. How to send Schedule Message on WhatsApp? this feature is not available..
Will Samsung Galaxy Grand Quattro have update of KITKAT? What is Eng file extension? will samsung galaxy S5 mini will give Android L as an update?